I live in Wisconsin. It’s gotten cold here the past few weeks. When colder temperatures start coming around, I like to play a game with my roommates around how long we can go without turning our heat on. My goal is always November (we made it this year). Because it was really cold in our house for a while, the butter in our butter dish was always hard, no matter how long it had been sitting out. So imagine my surprise when it was soft, even though our house was cold. 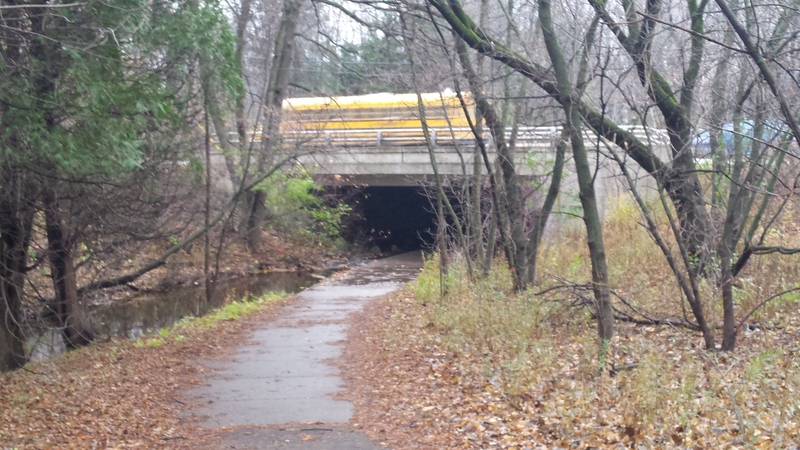 I looked closer at it, and thought it seemed more yellow than usual. I smelled it, and was immediately overcome by a fake, chemically butter smell. It was margarine, not butter. I understand that Roommate 2 is concerned with his body image. However, I don’t think that switching from margarine to butter is the right way to go about that. 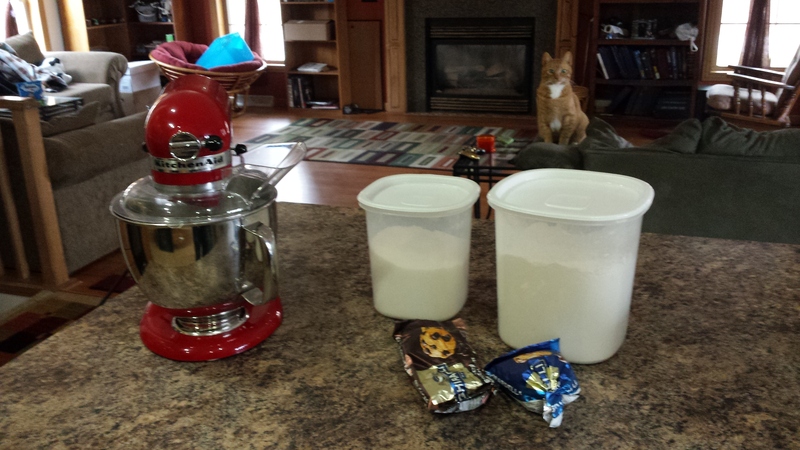 I may not know a lot about nutrition, but I have managed to maintain a healthy body weight, even though I have a bad habit of baking delicious treats. I follow a few simple rules. I eat fruits and vegetables. I cook most of my own meals, so that I can control what I’m eating and the quality of the ingredients. I avoid fast food as much as possible. And finally, I eat natural foods, not something that was chemically created in a factory. Sure, margarine might be lower in fat than butter, but that doesn’t make it better for you. Besides, he uses so little butter that I don’t think switching over to margarine is going to make that big of a difference. His biggest use of butter is on popcorn (I have an air popper that we all use). I don’t even want to know what popcorn tastes like with margarine on it instead of butter. Maybe I’m biased. I grew up on a dairy farm, so I like to support the dairy industry. I also grew up consuming a lot of dairy products. But if you want to make a switch to margarine, keep it to yourself, don’t put it in my butter dish. There was more butter in the fridge that you could have used instead of your margarine. After all, I know that I go through more butter than anybody else in the house, so I make sure we always have butter, and I don’t care who uses it. Also, he should take a look at the process of making margarine. Margarine is made out of vegetable oils, which are liquid at room temperature. The oils have to go through a process to make them solid at room temperature. The little bit of research that I did on this said that stick margarine is the worst for you, as more if it has to go through this process. Tub margarine, which is usually kept in the fridge, has more leeway on how solid it is, and is slightly better for you. Artificial flavors can also be added. You know what has natural flavors? Butter. I love my roommates, but margarine is not butter, and as such, does not belong in the butter dish. 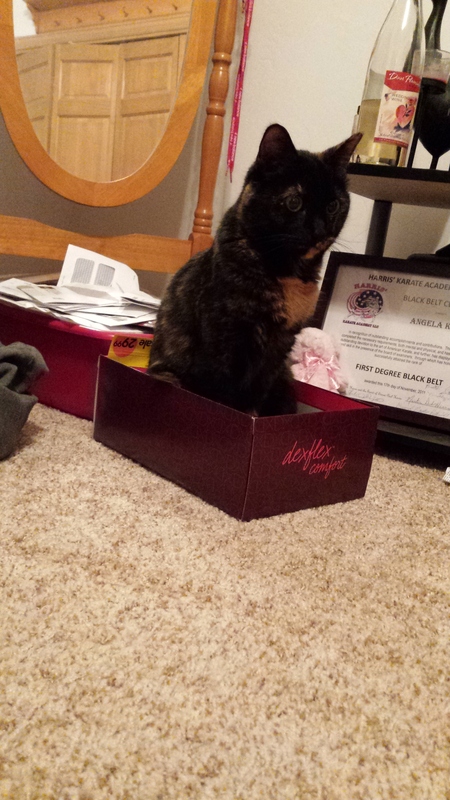 If I fits, I sits. 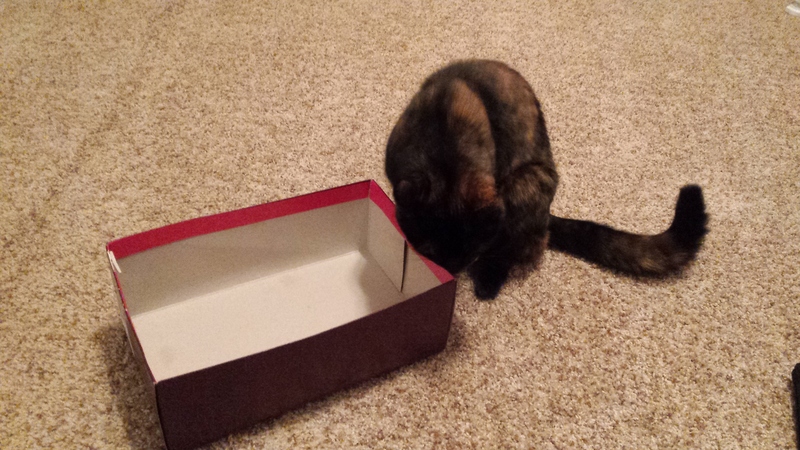 Standard cat logic that every person knows. Except for my cats. 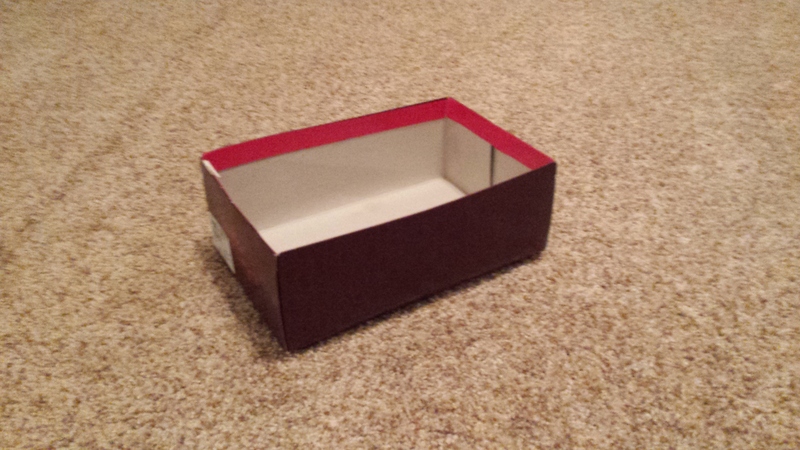 Recently, I bought a pair of shoes and left the box laying in my room to see what they would do with it. 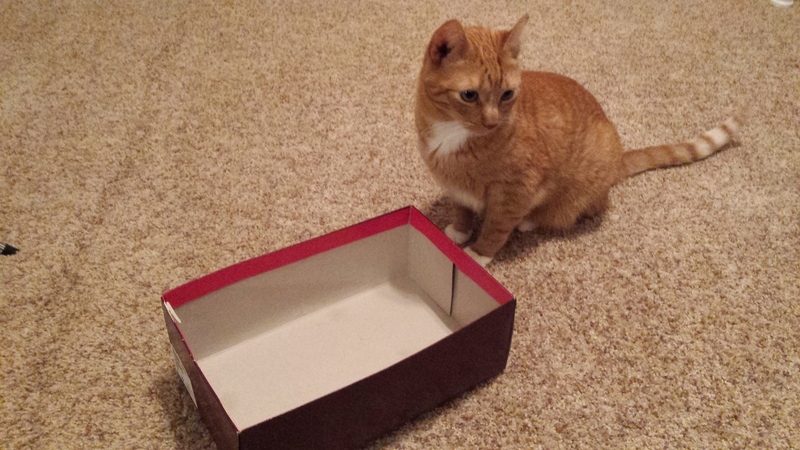 On occasion, they will investigate the box, but for the most part they leave it alone. What’s going on in this corner? Nope. 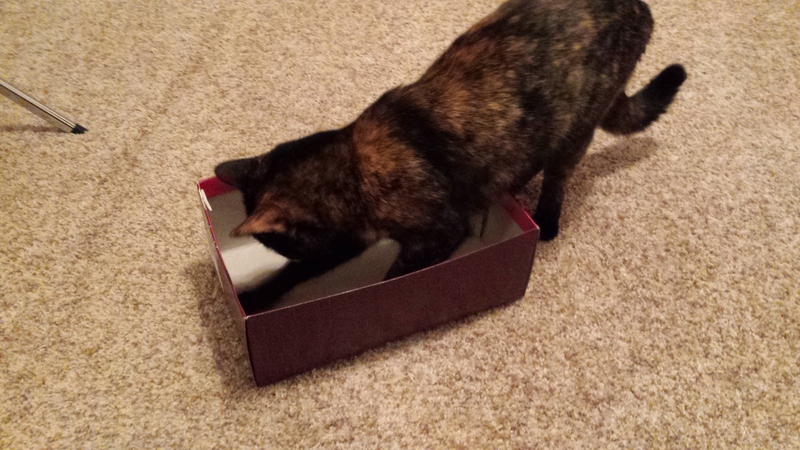 That’s enough box for the day. Simba pays even less attention to it. 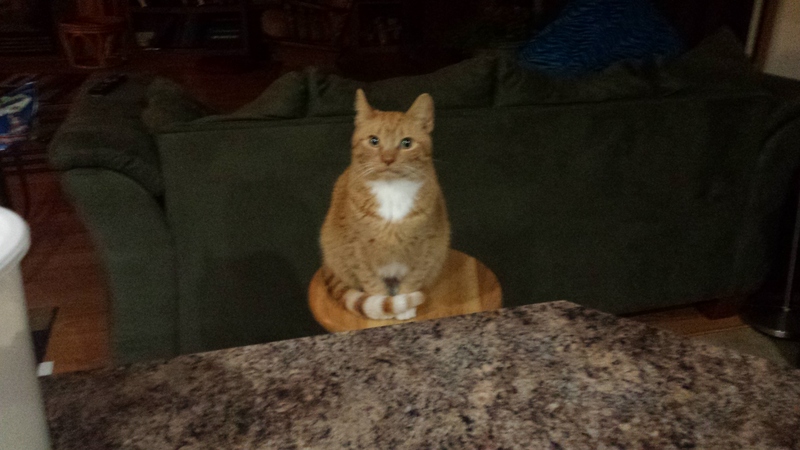 Maybe if I stand by it, the magic red dot will appear. 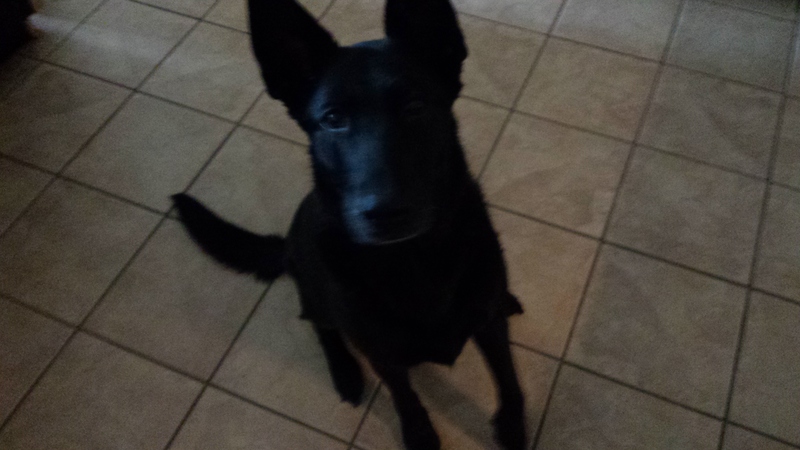 Or she’ll give me a treat. Only once did I see Mufasa actually stand in the box. Look at me, I’m a cat for once. 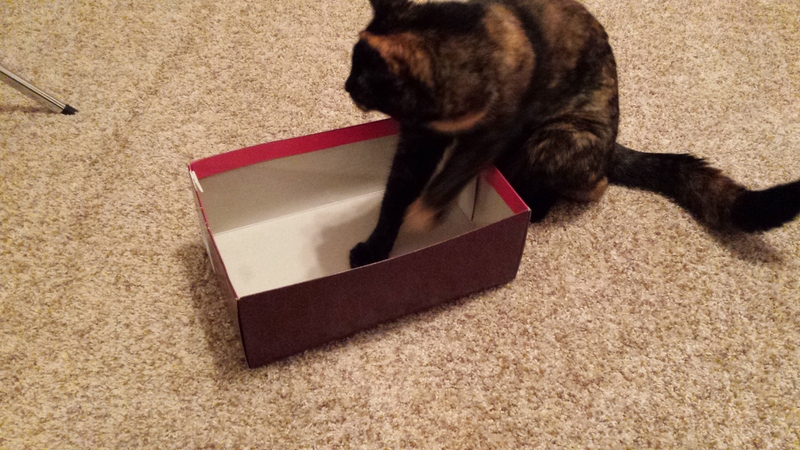 I love my cats, but they would be even cuter if they would just sit in the box. Raven belongs to Roommate 3. She is the most well behaved dog in the house and is allowed to wander freely when her owner isn’t here, which means that when I’m home, I see her a lot. I don’t mind that, because even though I’m not a dog person Raven doesn’t bother me. Until I started playing with her, that is. You see, even though all of my roommates have large dogs, they don’t really feel the need to play with them or take them out for walks. I understand that everybody has really busy schedules. Your dogs don’t understand that. They just know that they shouldn’t be locked up all the time. So when I started playing with Raven, she now expects me to do that all the time. Today I took her for a walk. She loved it. Before we left, she was being sad and mopey around the house. As soon as I told her that we needed to get her leash, she got really excited. I feel badly that I don’t take the other dogs for walks as well, but they’re not trained well enough that I trust myself to take them out of the house. Like I said, I’m not a dog person. We never had one growing up, and none of my friends did either. If they took time to train their dogs, I might trust myself more with them. I don’t want to be the person responsible if something were to happen, so I don’t take the other two outside. I am a cat person, not a dog person. I tolerate the three dogs. 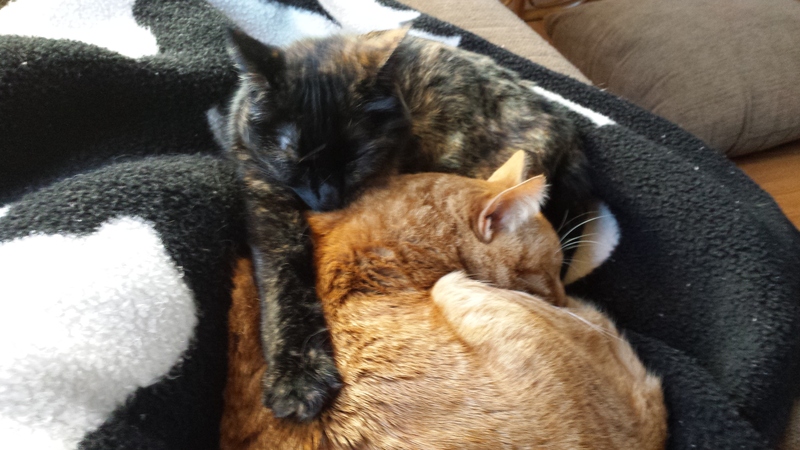 The two cats who adopted me when I moved in? Love them. I love my roommates, but they really need to take their dogs out for a walk sometime. This month, I’m taking Blogging 101 and Photography 101, so my posts are going to be slightly different and a little more random, but hopefully I can make them fit into my blog 🙂 Today’s assignment for Blogging 101 is to who I am and why I’m here and the assignment for Photography 101 is to take a picture of home. This is also good practice for me if I ever want to start a food blog one day. I need to get a lot better at taking pictures, and I need to develop a blogging voice. I have a bachelor’s degree in history, so writing is not new to me, but writing about myself is. 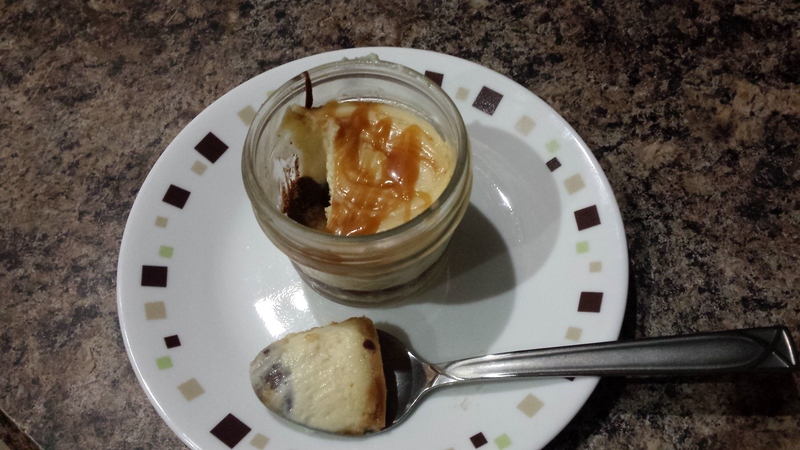 What followed was a few hours in the kitchen all leading to an amazing cheesecake with the best caramel sauce I have made to date. 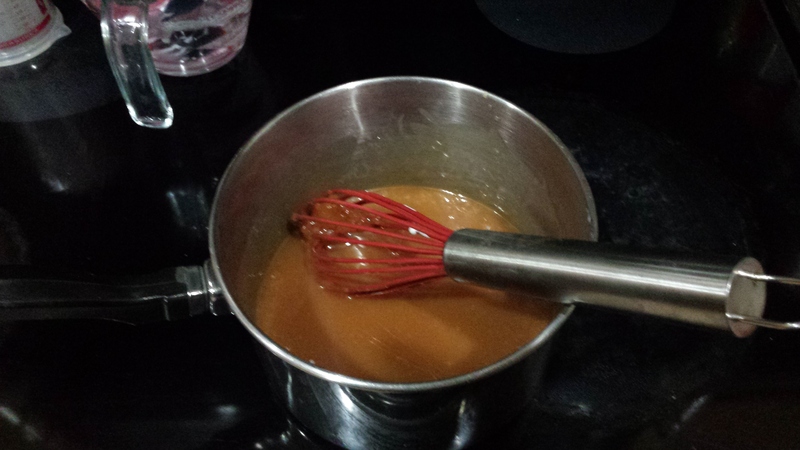 Caramel is something that I’ve had a few problems with (I think I have a tendency to stir it when you should really just swirl the pan around). 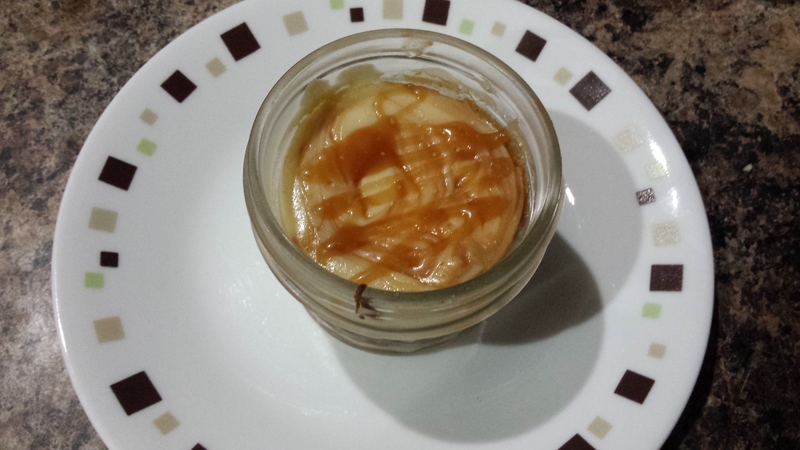 Finished caramel! It turned out fantastic! Ganache. I used bittersweet chocolate with an equal amount of heavy cream. Sometimes I fail at life, and since this is the first time I’ve taken pictures of a step-by-step process while baking, I lost focus and forgot to take pictures of making cheesecake and assembling 😦 I have a tendency to get into a baking zone and not really want to leave it to do something else. Salted caramel swirl? Check. Cheesecake? Check. 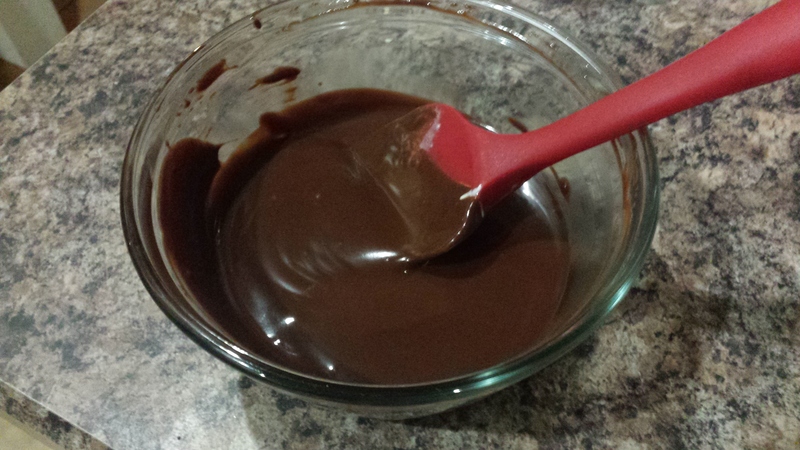 Dark chocolate ganache? Check. Pecan pretzel shortbread? Check. The cheesecake was everything that I wanted it to be 🙂 I love my roommates, but I made cheesecake, and I think that I’m going to give them (and myself) diabetes. … How many shaker bottles does one person need? Roommate 2 is really into fitness. He does all the protein and supplements and things like that, and I’ll admit it, he does have a nice body. However, as a side effect of protein shakes and things like that, he has a lot of shaker bottles. I tried to count all of them, but I lost track. 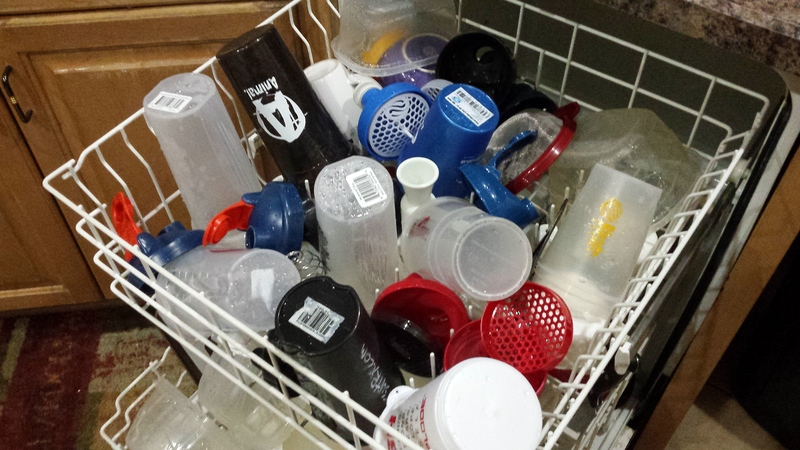 Yes, there are a few other things in the dishwasher as well, but there are a few more shaker bottles on the bottom shelf as well. And he recently bought his girlfriend, Roommate 3, three neon shaker bottles. Apparently he didn’t have enough to share with her. I love my roommates, but there is a limit to how many shaker bottles a person needs. And Roommate 2, you reached that at least five shaker bottles ago. When roommate number 2 moved in I was really excited that somebody other than my knew how to clean out the lint trap (I lived with him a few years ago). When he moved in, it was great, I wasn’t the only person cleaning it out for once. In the past few weeks, that has changed. Somehow, he forgot how to clean it out, or maybe where it was located. I’m not sure what happened. 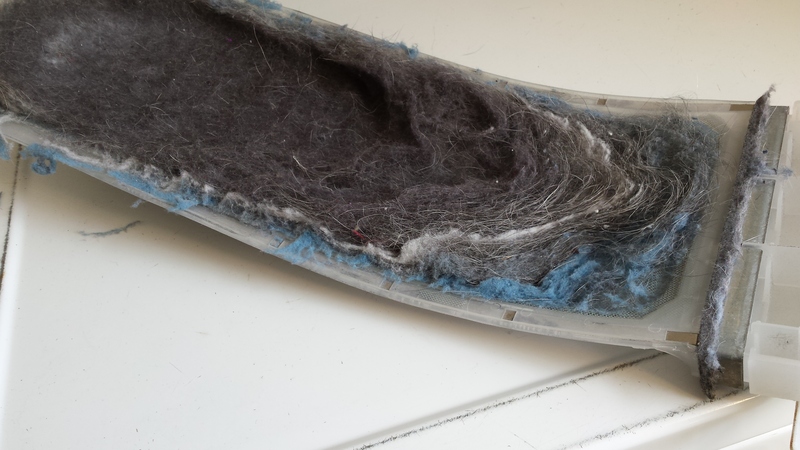 But this is what the lint trap looked like after he did his laundry this past weekend. A quick Google search told me that in 2010, 16,800 house fires started in the U.S. due to a clothes washer or dryer. If I join the rest of them and forget to clean it out, our house will quickly become one of those on fire. I love my roommates, but unless they start to clean the lint trap out, our house will probably start on fire soon.